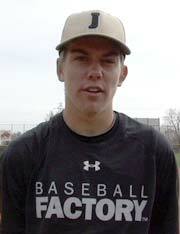 The day before the eighth annual Under Armour All-America Game, powered by Baseball Factory, was a busy one as the players started the day with a workout in front of scouts at the University of Illinois at Chicago and ended with an entire room filled with ballplayers serenading one of their own with a Happy Birthday sing-along. The morning started off with the players heading to a local Boys & Girls Club in Chicago to help stuff backpacks and play a game of quickball, which the players and the young kids from the Boys & Girls Club both enjoyed greatly. 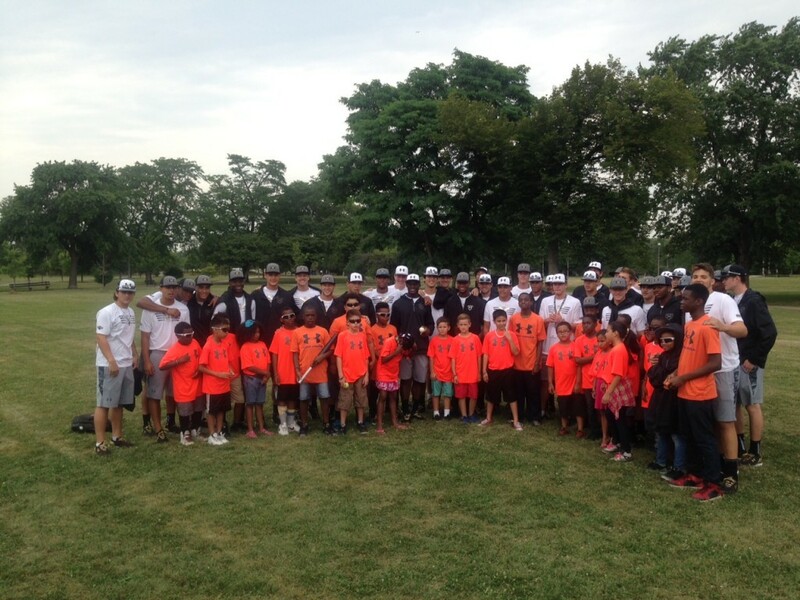 Players joined youths from the Boys & Girls Club for a community outreach program. From there, players attended the Scout Workout Day on a warm and sunny afternoon at the Home of the Flames, where infielders participated in drills, outfielders worked on throwing to both third base and home plate and later, batting practice, showcasing some of the best offensive talent in the country as over 100 scouts came to the complex to watch the athletes work. 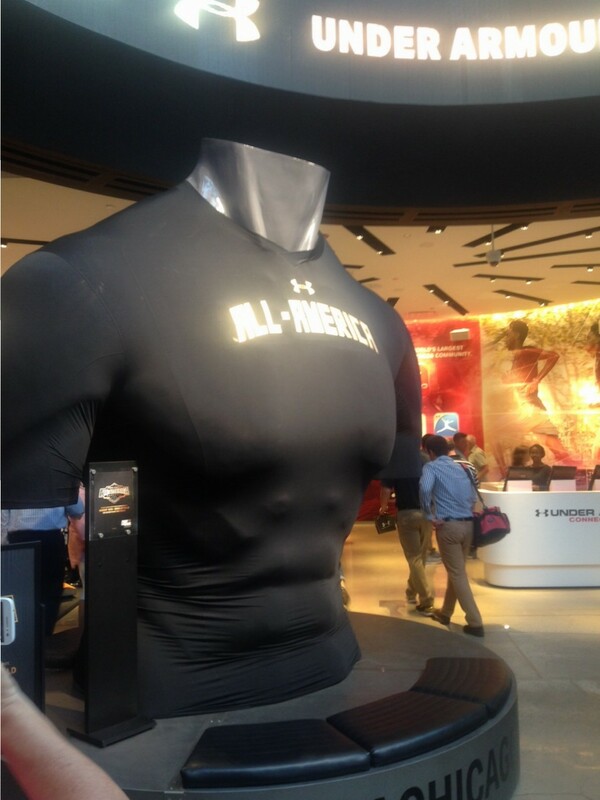 After coming back to their hotels, both players and families hopped aboard buses and took time to visit the UA Brand House, where they did some sightseeing and shopping before taking the bus over to Soldier Field for the UA All-America banquet and jersey presentation for the players. 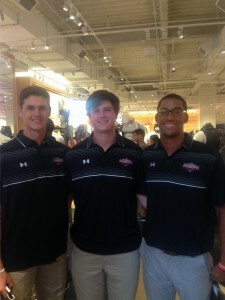 Kyle Muller (L), Forrest Whitley and Garrett Gooden (R), spend some time at the UA Brand House. 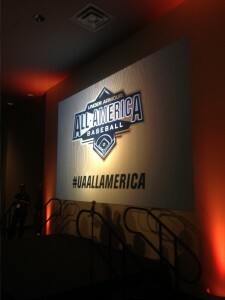 It was a fantastic night for all as players and families heard from Steve Bernhardt, Executive VP of Baseball Factory and Chairman of the Under Armour All-America Game Selection Committee, discussing the opportunity at hand for this year’s group of talented players who will continue the tradition of greatness in the UA Game. Following Bernhardt, Jim Bel Bruno, Senior Director of Baseball for Under Armour talked to the crowd as did managers Wes Helms and Bill Ripken and Director of Amateur Scouting for the Chicago Cubs, Matt Dorey.